SKU: LW-9YMN-3IKQ. 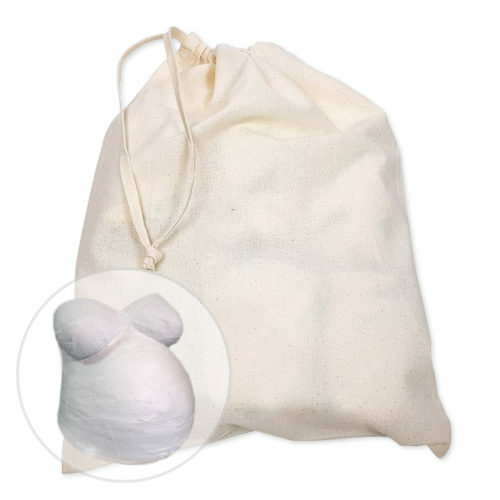 Availability: In stock Size: 18 x 18 x 18 cm Shipping Weight: 1.2 kg Category: Casting Kits. IMPORTANT: use colder water for a longer setting time. Adult supervision is required at all times. 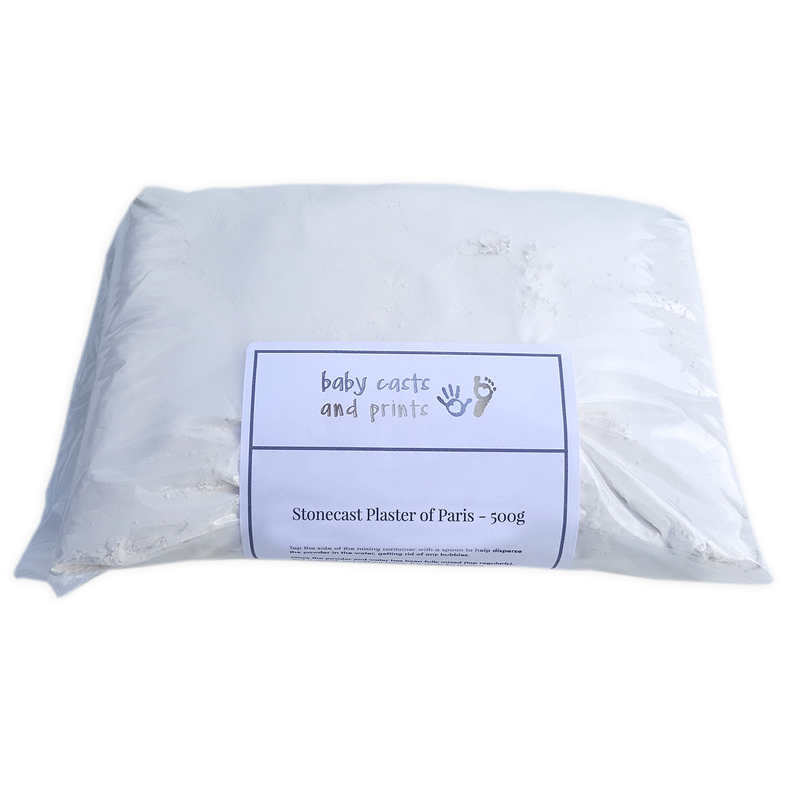 Children are not to mix the plaster of paris. 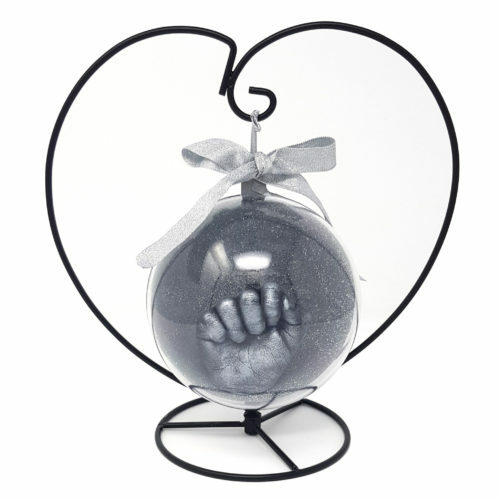 Want to create an amazing childrens holding hands cast? 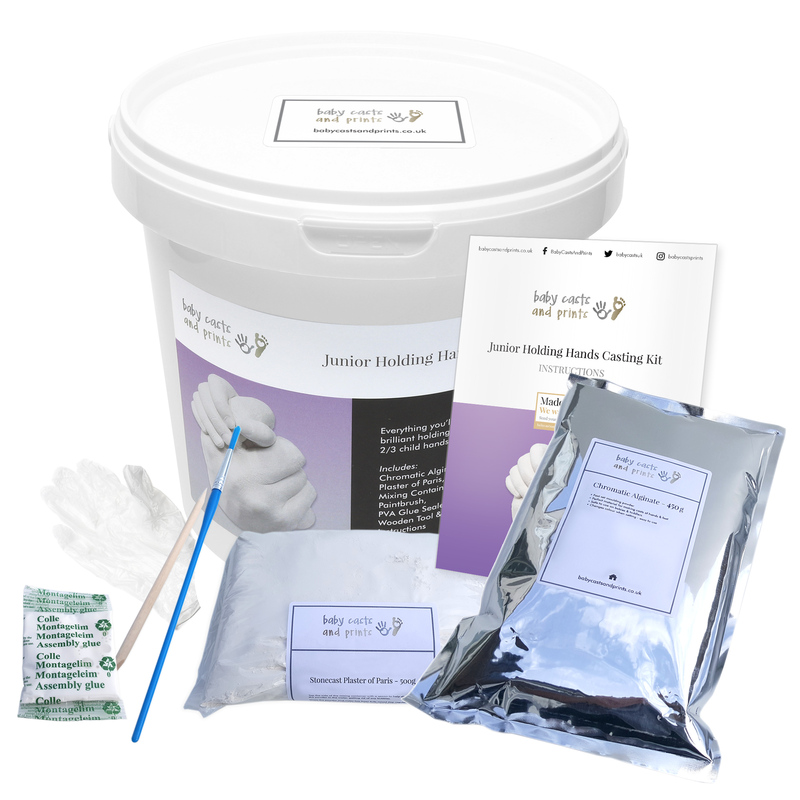 This kit provides all you need to make a hand casting and is perfect for 2/3 childrens hands, or 1 adult and 1 child. Always practice your hand position in the container first. Adult supervision is required at all times. 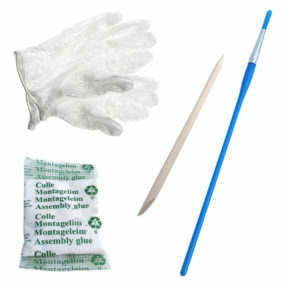 Full instructions are included with the kit. Please read carefully before starting the casting. 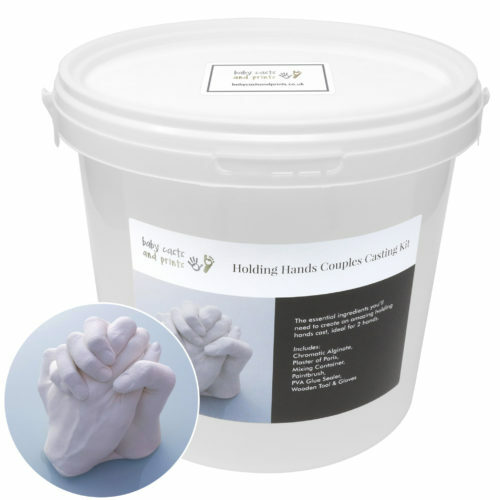 Before making the mould, practice placing hands into the supplied container. You may want to get an additional person to help. For best results, oil the hands with olive oil or petroleum jelly, as this will make them easier to remove from the mixture. Hair in particular can be troublesome if not oiled. Step 3: Revealing & finishing your new Cast – this is the exciting bit! Do not seal the cast until it has fully dried. 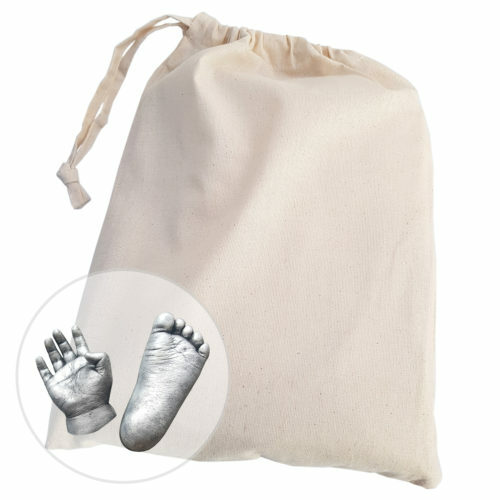 Allow 4-6 days for a full holding hands cast. 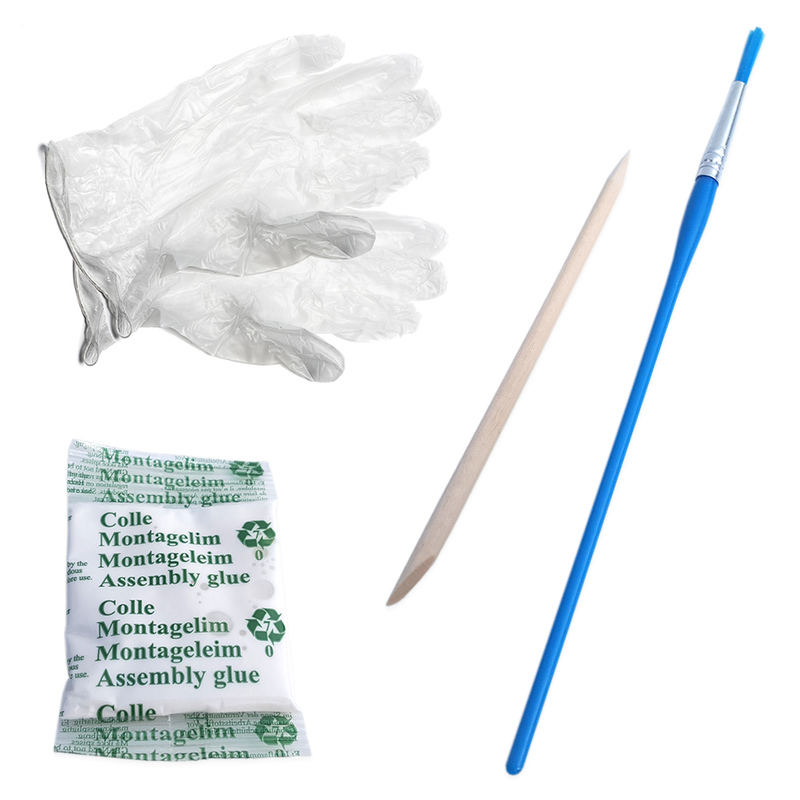 Lay a plastic bag, bin liner, or newspapers down to protect any surfaces. Practice your chosen hand position a few times into the container, filled with water. Take your time. Read through these instructions once or twice before starting. Pour the mixed plaster slowly, making sure to tilt the container from side to side. 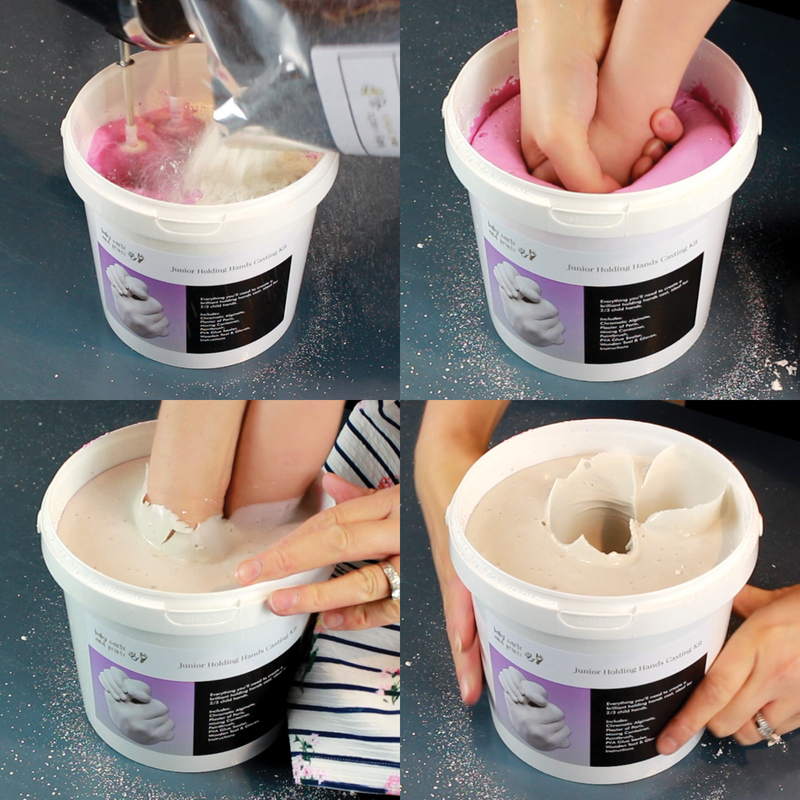 Throw any leftover mixed alginate or plaster away – don’t try and wash it down the sink! 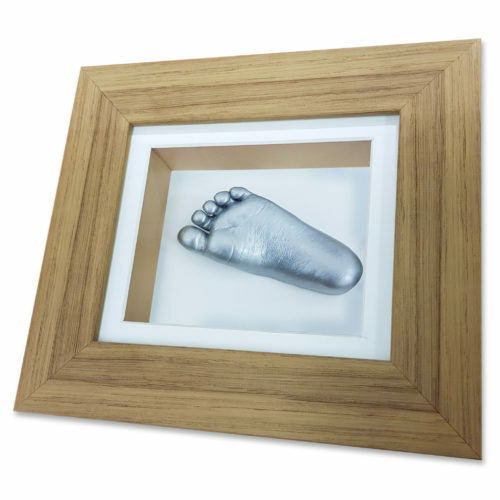 Try a silver, gold or bronze paint to finish your cast – these colours usually look best. 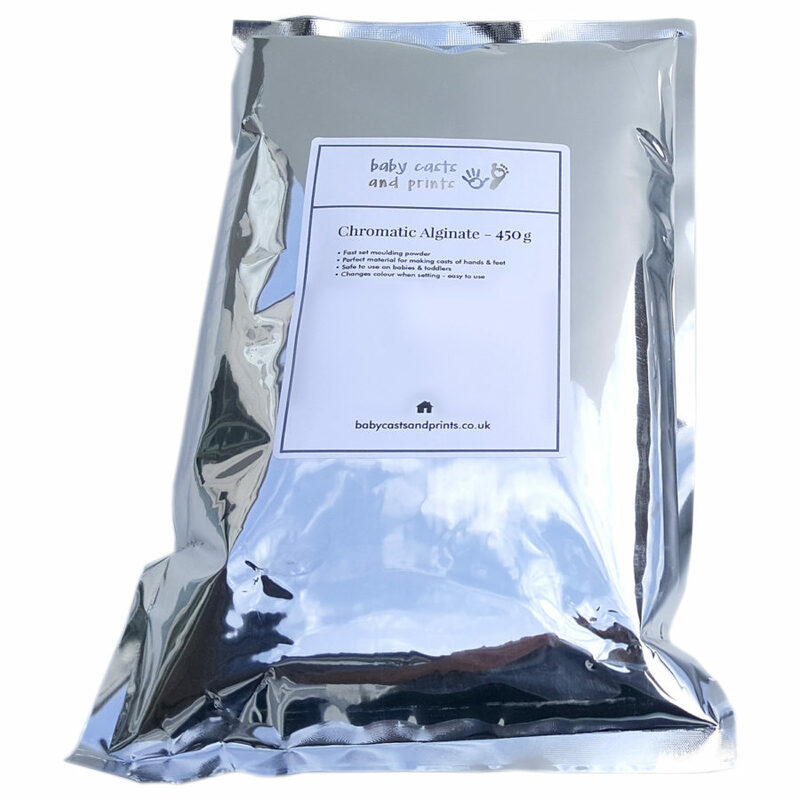 IMPORTANT: To avoid problems with the chromatic alginate setting too fast, please use really cold water if you are new to casting. Using cold water straight from the tap should give you 2-3 minutes of time to mix and place your hands into the container. 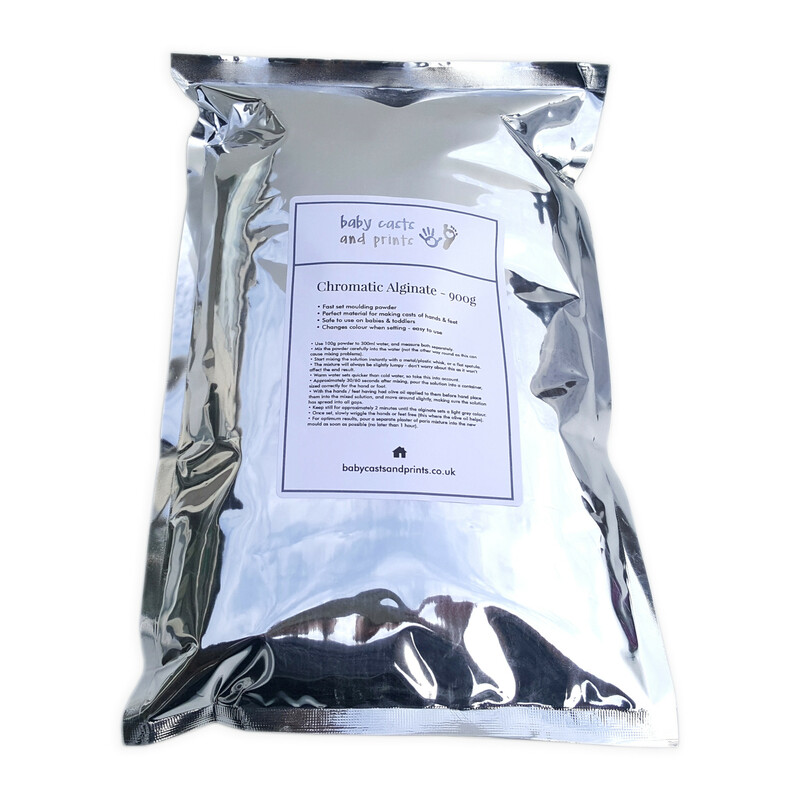 Practice on a small amount of alginate first to be sure.